Terri is currently the Director of Nursing for Royal Care of Erin, a 164 bed Skilled Nursing Facility. She has over 10 years of experience in long term care. During her tenure at Royal Care, Terri has obtained deficiency-free surveys and maintained over 95% resident occupancy. She is responsible for implementing a program that eliminated agency staff and increased internal staffing. A teacher at heart, Terri has conducted several in-services in areas such as safety, infection control, public relations, survey proficiency and quality assurance. She is a trainer and tester for a local CNA program. Terri is a facility based consultant and conducts quality assurance surveys on both in state and out of state long term care facilities. 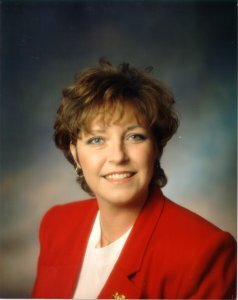 Terri has also served as co-Director and Owner of a local Ambulance Service. Terri received her Associate Degree in Nursing from Columbia State Community College. Answer 1 - Tammy, The only agency staff we used were certified nursing assistants. Agency staff should only be used when there is no other choice because they do not seem to have the dedication and love for the residents that our core staff have. We had been using them for about a year and had so many problems. The CNAs were totally fed up with their service and actions and of course the monthly bill was enormous. We started a Staffing Solutions Committee which consisted of line staff from all department and excluded Department Heads. The Administrator was the chairman of the committee and we met once a week and he listened to the suggestions that were brought forward. Basically what we did was put the answer to the problem in the hands of the CNAs. It empowered them to assume some control and to become part of the solution. They agreed that they did not like the Agency in our building and felt as if we appreciated them enough to ask them to give us an answer. We posted the schedule and highlighted the open shifts that were not covered and asked for volunteers to fill in the blanks. They would rush to the schedule to pick up the "good" shifts before anyone else choose them. Another factor in healing this wound is that we promised them a bonus, in cash, of $25.00 for each extra shift that they volunteered for. On Mondays we tally up the extra shifts that we picked up the previous week and we walk around with a handfull of money and give to them what they deserve. This makes a statement for those who have ignored the plea for help and the Main thing it produces is "Peer Pressure". Those CNAs who do not volunteer for extra are scheduled by the ADON. It is always kept fair and even. Question 2 - Hi Terri, We're seeing more and more articles about LTC facilities declaring bankruptcy and largely blaming the Balanced Budget Act of 1997. Is the BBA having that much of an effect on revenue to cause facilities to go bankrupt or do you feel it is the symptom of a larger problem? If the BBA has had a significant effect, how have your facilities adjusted? Or have they? Answer 2 - Yvette, I believe the BBA is partly responsible for the problems some long term care facilities are facing now but I think the main problem began when the Perspective Payment System came into effect this year. In the past, when it came to Medicare involvement in nursing homes, the reimbursement was based on a cost plus system involving skilled care for the residents. This year all of that changed to a more HMO approach. Now a Medicare skilled resident is categorized into one of 26 RUGs groups. The way they are grouped is dependant upon what kind of services they receive, what their ADL abilities are, their diagnosis and their behaviors. Each RUGs category has a certain reimbursement attached to it. This is why therapy companies have suffered so much. We try to utilize our in house rehab department to provide the services needed to our residents instead of them having therapy for such a long time. In 1995 nursing homes and financiers knew that PPS was coming and many nursing home chain prepared properly for the future but some, unfortunately, did not. If they had a large cash build-up, they did not realize that the cashflow would be needed in the future, therefore not investing and saving as they should. Financing became a harder task to achieve, and many chains are suffering now. Answer 3 - Hi Grant, I realize your friends frustration. There are indeed homes that do not properly train the CNAs in areas that are absolutely critical. They think as long as they know how to turn and dry they should be put on the floor to care for these people. I believe it is imperative that the line staff be very well trained on feeding and swallowing techniques. In my facility the CNA course has a section built in where all of the therapies, PT, OT, and Speech, have a part in the class to teach such things as safe transfer, range of motion and feeding and swallowing. In addition to this we have inservices and have developed a check off sheet where all staff is trained and competency must be shown. One of the State guidelines states that no one employed by the facility is allowed to feed or offer liquids unless they are a CNA or Nurse but a volunteer is allowed to feed and offer liquids. I don't quite understand their reasoning in regards to that reg but there are several regs I do not understand! The facility must first of all realize the importance of a good feeding program and in the absence of a good program, the detrimental effect it could have on the residents (dehydration, weight loss, aspiration pneumonia) and secondly they need to realize the importance of the CNAs and pay them accordingly. Every home needs a program to assure proper training in these areas. Question 4 - Terri, Has your success in developing a dedicated and caring staff resulted in an appreciable decrease of personal injury lawsuits alleging resident injury (assuming, of course, that your facility has faced one of these actions)? As these types of lawsuits seem to be filed with increasing frequency, are there any general rules which would help facilities minimize the risk of these lawsuits? Answer 4 - Hi Bill, We have not had a lawsuit filed against us for an injury to a resident since I have been with the company which is 5 years now. I believe there is one pending lawsuit that is around 6 or 7 years old. Lawsuits against nursing homes has become quite a big business these days. I do consulting in Florida and the actions filed against homes there are enourmous. There are law firms that "specialize" in suits against nursing homes and it is a lucrative business. No matter if the home was negligent or not, the jury almost always finds the homes guilty because of all of the bad publicity that nursing homes receive. A key factor in preventing law suits in your facility is to always have an open line of communication with the resident and the family members. We have a program that we call "Concern Resolution". Anytime there is a concern voiced by a resident or family member we have a form that is accessible to any staff member. The complaint is logged in and the form is passed on the the Social Services Director and then on to the appropriate department head. The person who voiced the complaint is kept informed of the progress of the investigation by the SSD. We have had some concerns voiced but 99% of the time the end result is positive. The family is so appreciative that we take these concerns serious and they better understand how the regulations are enforced and what is expected. Most of the time it turns out to be a misunderstanding on one's part or they arehaving trouble coping with feelings such as guilt or a loss of control.